Tablet usability rating: 3/5. No mobile page for Tablet. 3 open questions, need receipt. Smartphone usability rating: 2/5. No mobile page for smartphones. 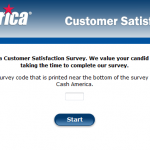 You can still finish Cash America Customer Feedback Survey via smartphone. It may take more than 5 minutes to finish. 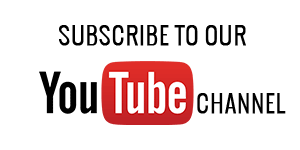 Indicate your responses to several questions regarding your most recent experience at Cash America like "Please indicate the primary reason of your visit"
Headquartered in the United States, Cash America also provides financial services in UK, Canada, Australia and Mexico. The company operates pawn shops and provides check-cashing services as well as payday loans. You can get a pawn loan or apply for a cash advance quickly with Cash America. Their global brands include Cashland, SuperPawn, Payday Advance, QuickQuid, DollarsDirect Canada, etc. Great customer service and fast transaction. be careful selling them gold, especially 18k. check the weight and how much the rate is for that day. they were extremely low and I got much more elsewhere. wont do business with them again. The store on West 50th in Lubbock, TX. store code 00583, must be commended on the excellent customer service by the employees, Jacob, Taylor, James and the store manager, her name escapes me at this moment, are always very helpful. It is enjoyable to go in and see their smiling faces! I went to the store at 805 North Zaragosa in El Paso,Texas and I was very pleased. The employees make you feel very welcome and are very helpful. A man by name of Jaime helped me and I was very pleased. I have done business with these stores for some time. Rarely find distress merchandise and have found fair, reasonable prices on all items and even so, they are always willing to help me afford and are willing to deal. I was treated with dignity when I walked into the store on Muldoon Road in Anchorage, Alaska. Hats off to Cash America, they treat you very nice. I presented my payday stubs and my social security stubs for a loan. It took less then 5 minutes. I was very pleased at the treatment that I received from the store clerk. I would reccommend this business to all my friends. THE WORKER ARE REALLY FRIENDLY AND GIVE THE BEST PRICE THEY CAN. Today was the third time in two months I had bought merchandise at your store and had to use my time to return it due to not working properly. I've dealt with many cash America pawns in many areas and this particular store seams inept at checking merchandise before putting out for sale. It has been a displeasure for me to have to go through this process. Not to mention the staff was inconsiderate in my complaints. Now I have a store credit for $30.00 which I'll find hard to trust on what I might use it for. Very disappointed. very happy with customer service. Visited Palm Beach Gardens store on Northlake Blvd today for the very first time and bought a Tiffany necklace and a Pandora bracelet. I was helped by the store manager, Steven Steiber. He was very professional and knew his merchandise. I felt like I was in a high-end jewelry store. He was a real pleasure to buy from. When my wife wants to shop again for jewelry, we will certainly return. I have shop at cash American pawn in college park ga for several years and I have found a lot of good quality items that I needed at good affordable prices and custom service is great.